Here we are with the recipe of the weekend! For this weekend, I thought about a very tasty recipe, easy to prepare, the hamburger with Pesto, filled with Asiago cheese. If you want, for the Pesto, you can use my recipe which I have proposed in the previous posts, in order to prepare a totally homemade hamburger! Prepare the base for the burger: on a plate, spread and flatten the minced beef until you obtain a thin and compact base. Repeat the procedure for the upper base. Slice the Asiago cheese, spread it over the base and, later, spread a thin layer of Pesto on top of the cheese. Put the upper base above and try to “seal” the two bases, helping with your fingers. Meanwhile, prepare the tomato cubes and cook the burger on high heat. The hamburger should not be cooked for a long time, so as to keep the juices inside the meat, however, cook it according to your preferences. If you have a microwave oven, heat the buns for about 30 seconds, so as to make it soft and smooth. Finally, put the hamburger in the buns, taking care to put a thin layer of pesto and tomato cubes over the meat (as in the figure below). For this Pesto hamburger filled with Asiago cheese I chose the barbera “Monella” 2013 by Braida. A lightly sparkling wine, with great personality, body and good freshness. On the nose, aromas of red fruit and cherries in brandy. “Monella” is perfect in pairing with the Pesto Hamburger, thanks to the soft bubbles that help to “clean” and “degrease” the palate from the cheese and to the body and intensity which do not dominate and vanish in comparison with the meat. If you can’t find it, I suggest a sparkling red wine with the same characteristics like Lambrusco di Gasparossa or Barbera. Even a Brut Rosè would be perfect, if you prefer an elegant pairing. For this one, I thought about a particular and sophisticated recipe, the Duck white Ragù. Wash the duck, dry it and debone it. Put the deboned meat in the meat grinder; if you don’t have it, you can cut the meat by knife, working it until you get small pieces of meat. 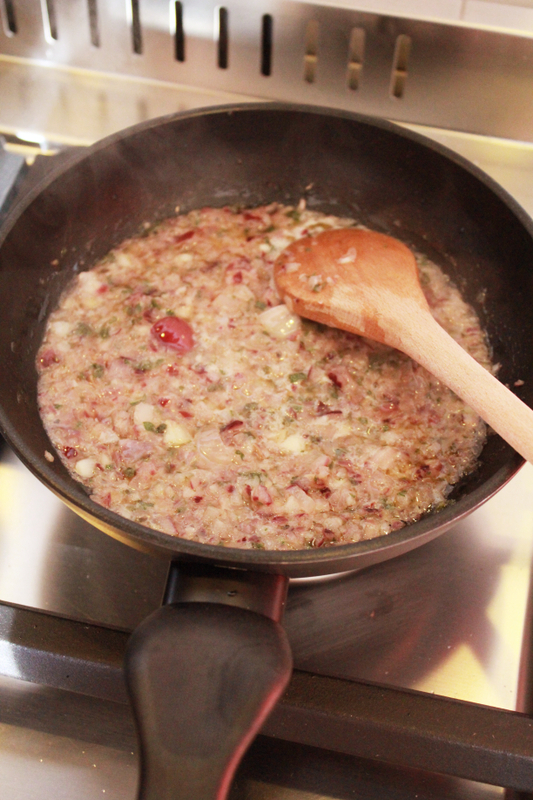 In any case, keep a little of skin duck in the meat, in such a way as to make softer the white Ragù. Once ground, stir the meat with your hands. Meanwhile, prepare the broth with the duck bones, the celery, carrot, onion and the laurel leave. Savory the broth and cover the pan with a lid, making sure to leave the heat to the minimum. Chop the shallots, sage, onion and celery and sauté it in a pan, adding a spoon of broth to avoid burning the sauté: turn off the heat once the sauce will have acquired a golden color. In another pan, sauté the ground meat of duck with extra virgin olive oil and butter: brown the meat over high heat, in a way which does not make it “boil” in its juices. 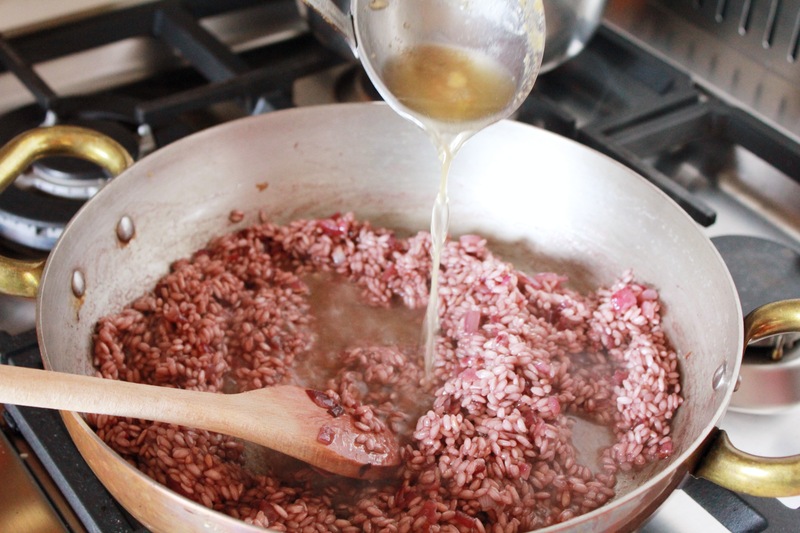 When the meat has acquired a golden color (see figure below) and has dried the liquids in the pan, blend it with a glass of Sherry (or white wine): later, add the sauce and reduce heat to a minimum. Add salt and pepper and then the broth, in quantities of three ladles (see figure below). During the cooking process (about 2 hours), remember to add broth whenever the Ragù is too dry: check it about every 15-20 minutes. You can serve the Duck white Ragù on a plate of pasta, preferably a “short” one: the best match would be with Garganelli, a fresh Emilian short egg rifled pasta which captures the Ragù very well. You can store the Duck white Ragù in glass or plastic sealed jars for about three days, in the refrigerator. You can keep for a week, if stored in the freezer. Before serving, thaw and heat quickly in the microwave. For the Duck white Ragù, I chose “Capo di Terra” 2007 by Conti Sertoli Salis, a small Italian producer located in Valtellina. It is a “Valtellina Superiore”, made from Nebbiolo grapes (the same for Pedimont Barolo and Barbaresco), Chiavennasca in the local dialect. Clear and quite transparent, garnet red in color with orange highlights, “Capo di Terra” is a quite rounded wine, elegant and quite tannic. On the nose, aromas of blueberries, currants, raspberries and other small red and black berry and violet leaves flower. It pairs very well with the Duck white Ragù, without prevailing, but drying very well the oiliness of Ragù. So, have a nice weekend and a good preparation! 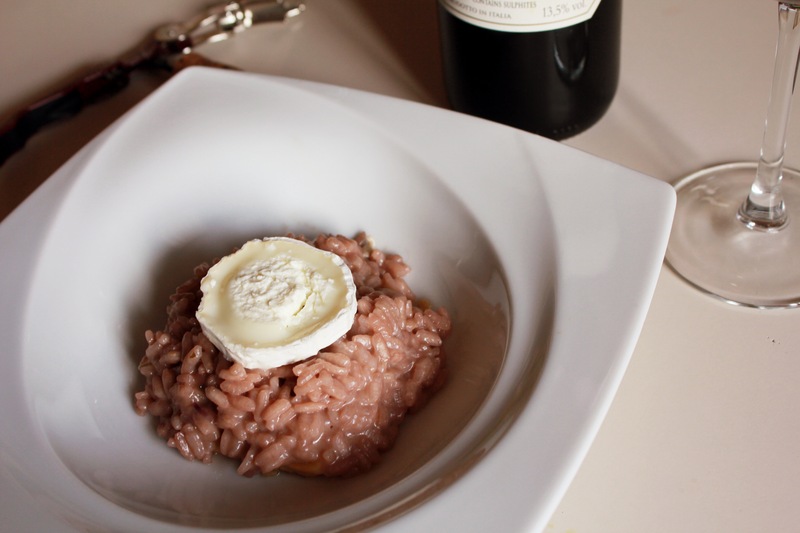 Today a recipe for your weekend, the Risotto with Carmignano red wine and goat cheese, something which is not difficult to prepare, but it will give you a great pleasure! Melt the abundant knob of butter in a pan, at medium heat. Fry the shallot (or an onion), finely chopped, in the pan until it has acquired a golden color. 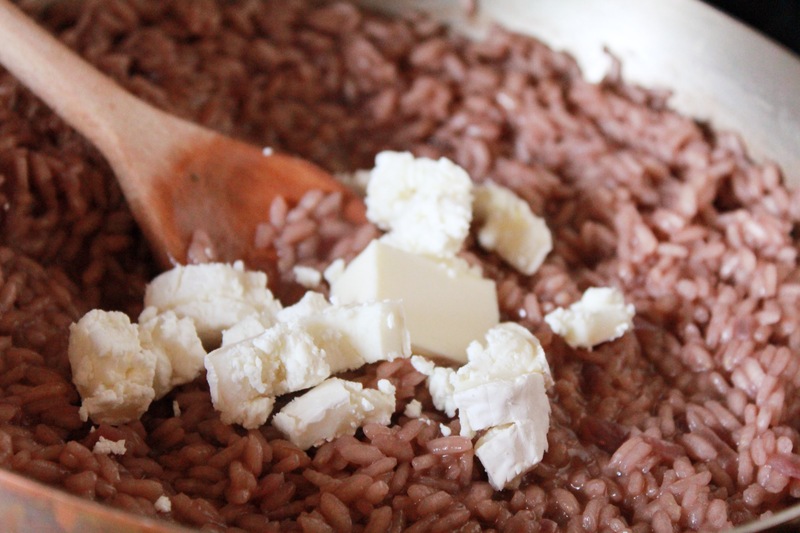 Add the two cups of rice and stir constantly with a wooden spoon, so as to toast the rice. Toasting the rice may take from 3 to 5 minutes. 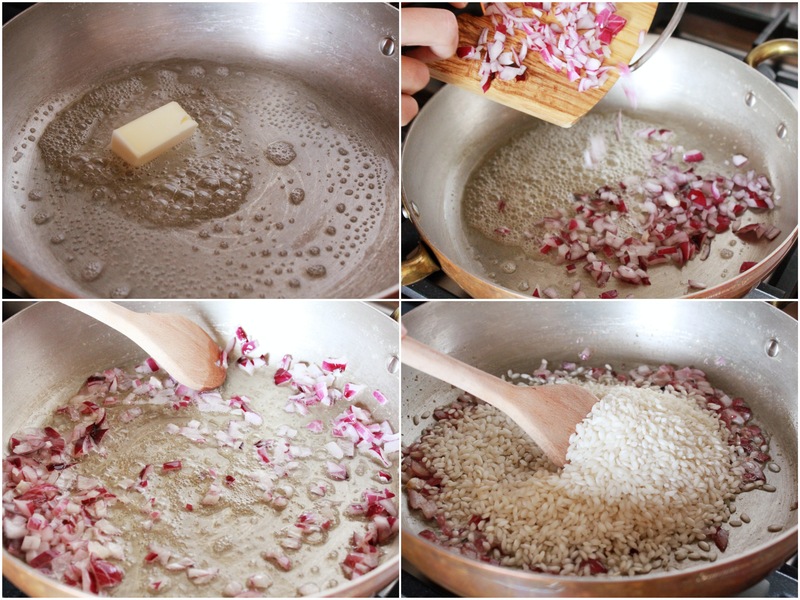 It’s important to never stop stirring and pay close attention to the rice so that it does not stick or burn. 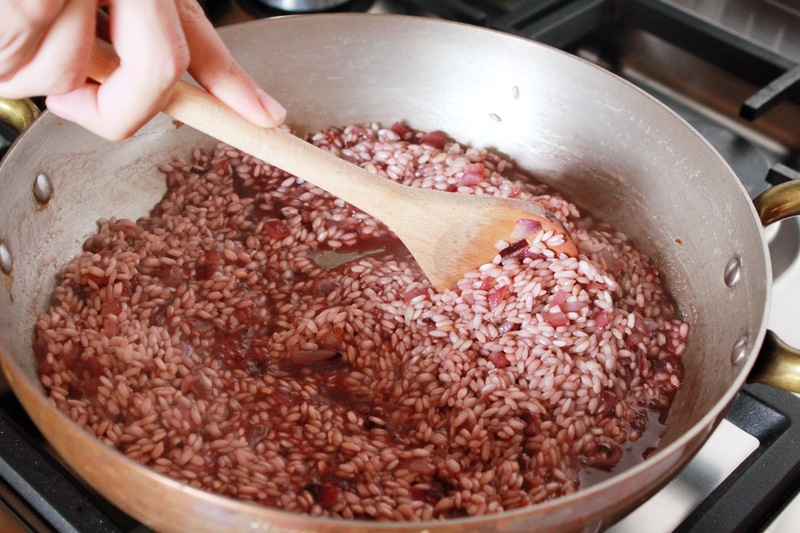 It’s important to pay close attention to this step: a good toasting, in fact, means that the rice will not be overcooked and it will preserve the compactness of its grains. Toasting the rice is necessary to close the rice pores in order to increase its holding to cooking: if you omit this step you could make the rice looks like a boiled rice with a condiment. 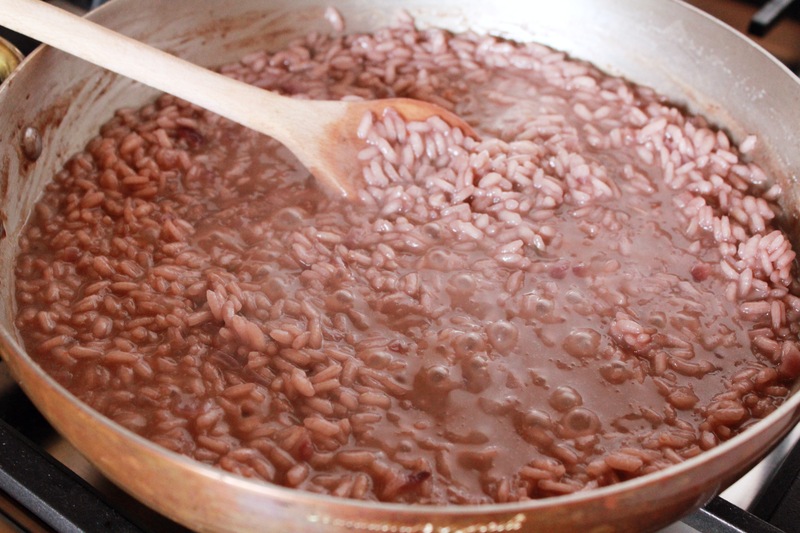 Then, pour in the pan a glass of red wine, preferably of Carmignano: once it dried, pour two or three ladles of broth. 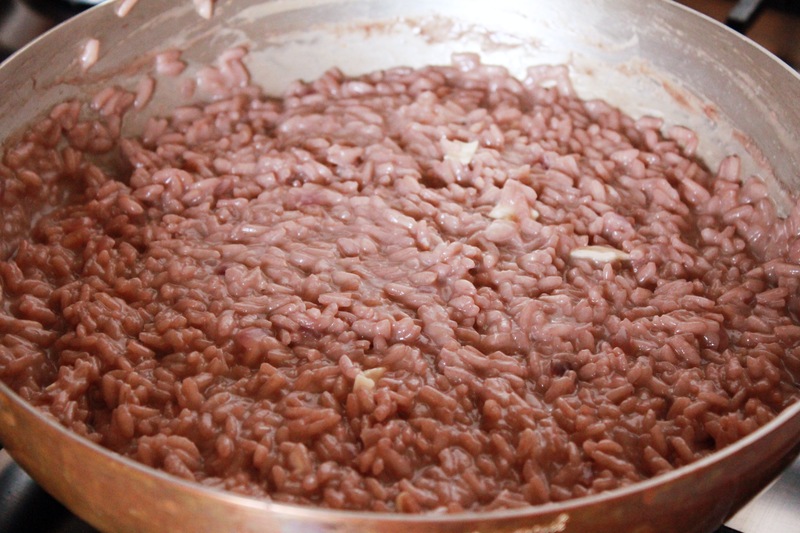 Stir often and add broth to rice whenever it dry: cook it for 20-25 minutes until, tasting it, it will be soft and compact (see figure below). Turn off the heat and pour into the pan another knob of butter, the grated Parmesan cheese and goat cheese cutted into small pieces. 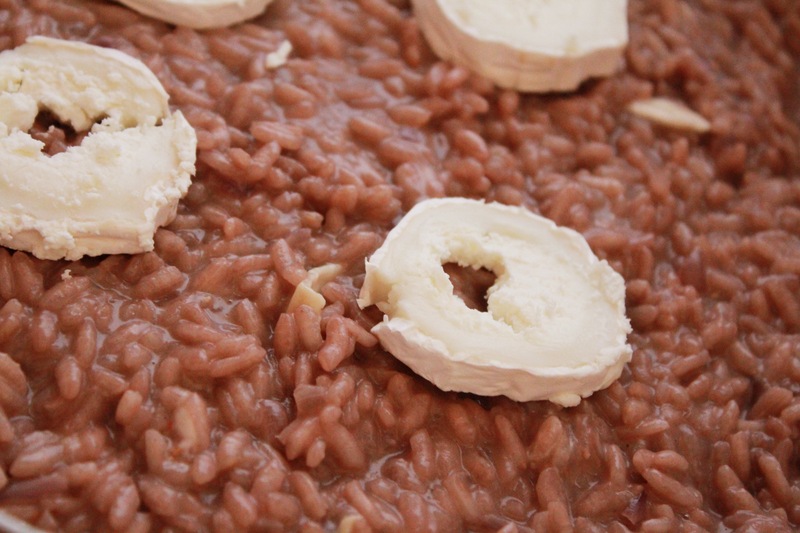 Stir it and then place slices of goat cheese on top of the risotto to decorate it. 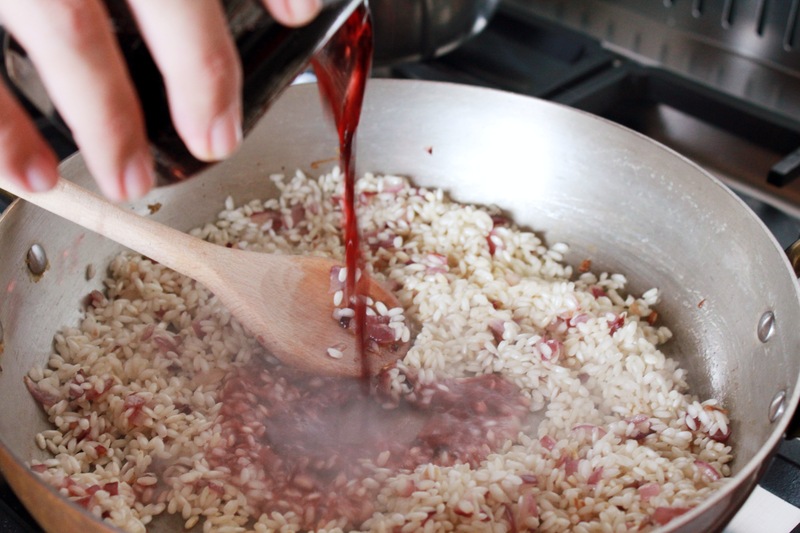 In closing, cover the Risotto with a lid and let stand it for 5 minutes. For this recipe, I suggest the “Carmignano Riserva” 2010, produced by Artimino. The Carmignano is an Italian wine of ancient origin, but is not well known internationally, although it is a Tuscan wine with similar characteristics to those of a Chianti. 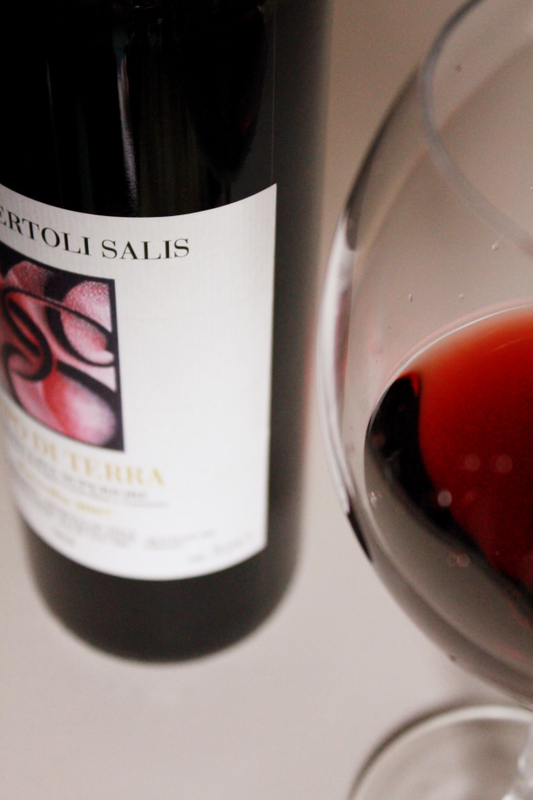 This 2010 reserve shows a ruby red color with orange highlights and a good consistency. At the nose, perfumes of ripe red fruit, mainly cherry, black pepper, coffee and a very pleasant balsamic hint! On the palate, this wine is quite rounded, fresh and tannic, making it very pleasant paired with the Risotto. 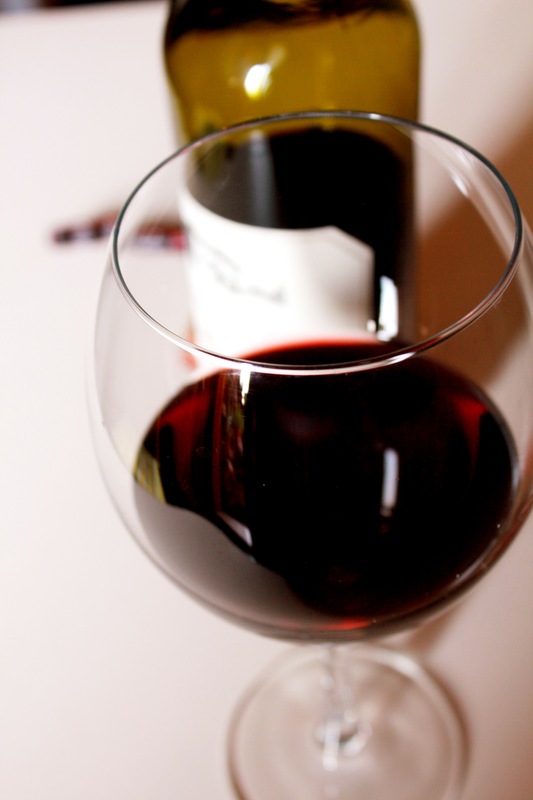 If you can not find it, I recommend wines with a good evolution, a good structure and tannins, such as a Chianti Classico, a Vino Nobile di Montepulciano or a Bordeaux from Haut-Médoc region, if you prefer a French one. Today for you a special recipe, perfect for the weekend! 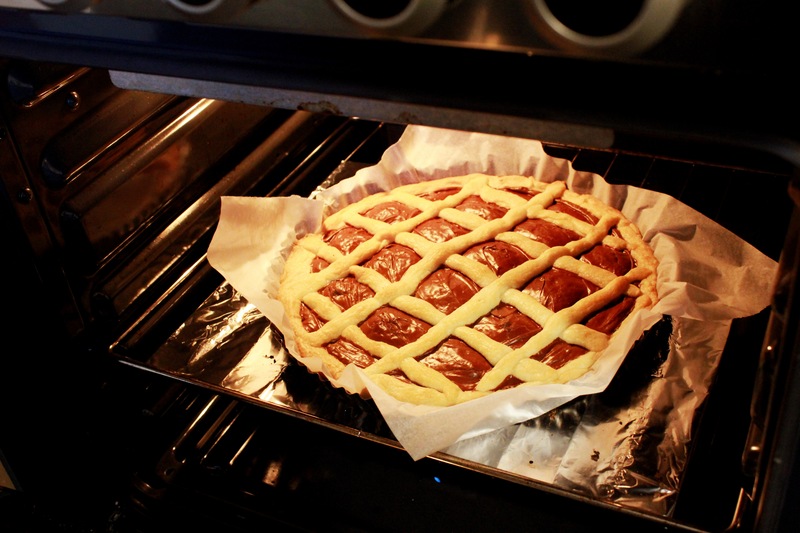 We will prepare the Nutella tart (“Crostata” in Italian), a classic loved by all. My little niece and nephew asked me to prepare it for their snacks and I have taken the opportunity to share the recipe with you! Cut the butter into small cubes and mix it with the flour, gradually poured, and the potato starch. Continue to knead, adding the powdered sugar, salt, and finally the albumen. 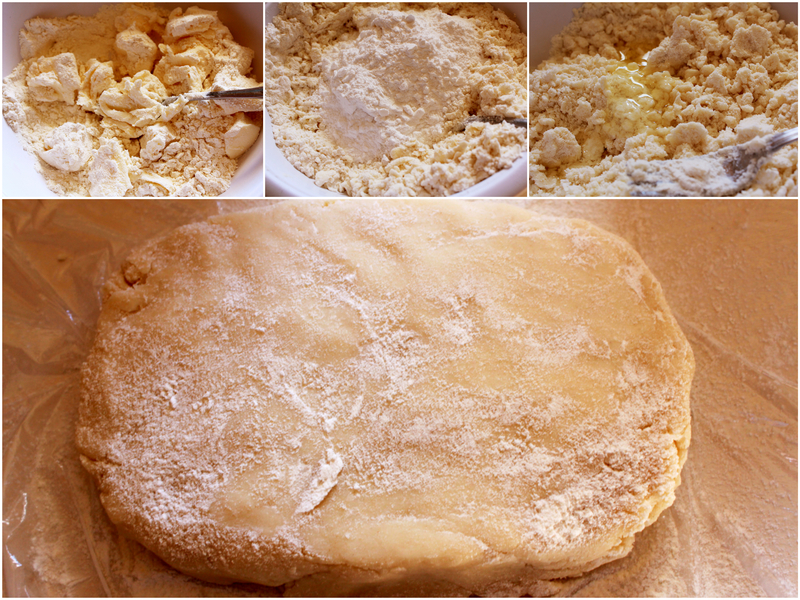 Don’t “overwork” the shortcrust pastry, in order to maintain it solid. Form a “tile” about 4 cm high (1.6 inch), cover it with plastic wrap and let it rest in the freezer for about 30 minutes, or a night in the refrigerator. Roll out the shortcrust pastry on two sheets of greaseproof paper (waxed paper) (as in the figure below) so as to make the tart base. Once you have cutted the bottom, lay it on the greaseproof paper inside the pot. 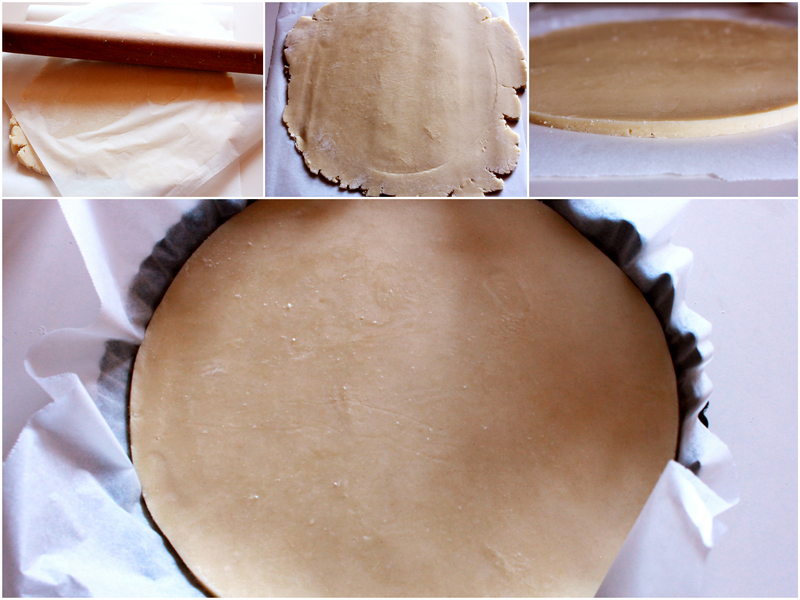 With the rest of the short pastry, make the tart border and the rolls to decorate it. 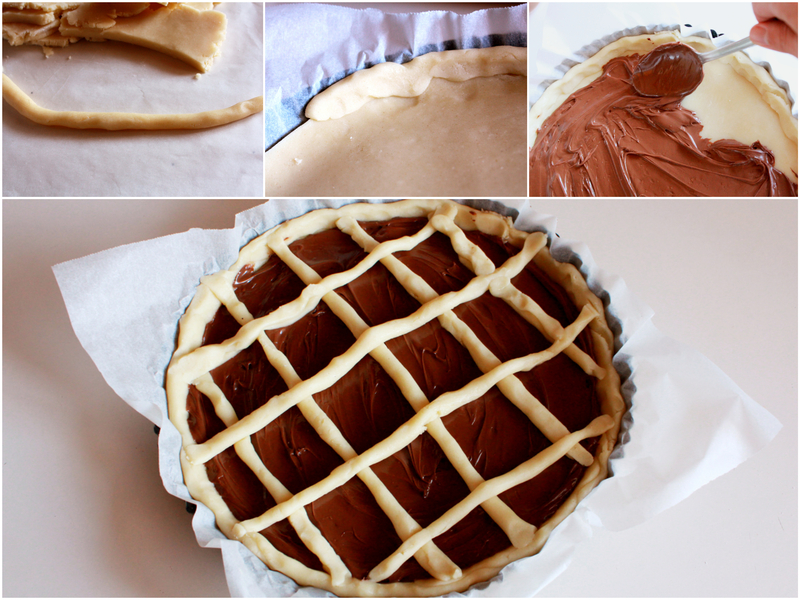 Spread Nutella on the tart base and then decorate the tart with the short pastry rolls. Bake the tart for 30-35 minutest at 160°C (320°F) in a convection oven, or 180°C (356°F) in a conventional oven. The tart will be ready when it will acquire a golden color (see figure below). The tart can be stored for about a week, preferably in an appropriate sealed container. 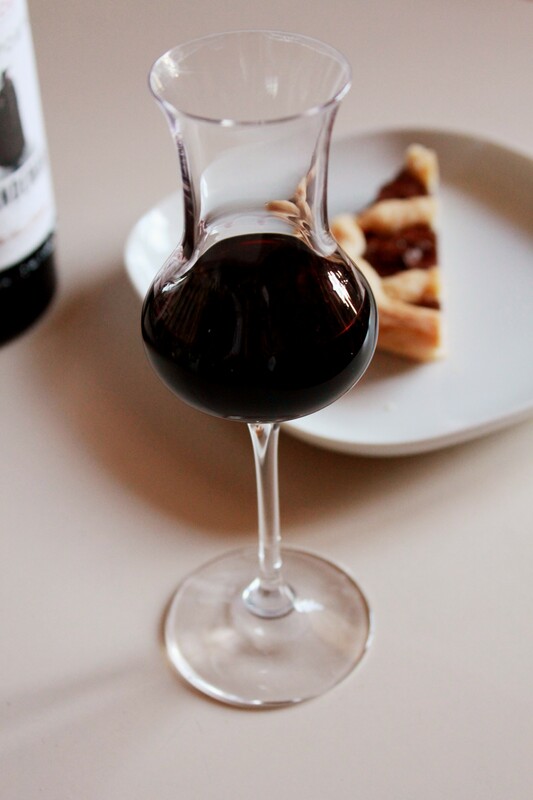 For the Nutella tart, I chose the “Sandeman Late Bottled Vintage” 2009, a young and intense Porto, with an evolved and balanced structure. With a good consistency and a ruby red color, this Porto got a sweet flavor which “works” well with both the sweetness of the shortcrust pastry and the softness of Nutella! 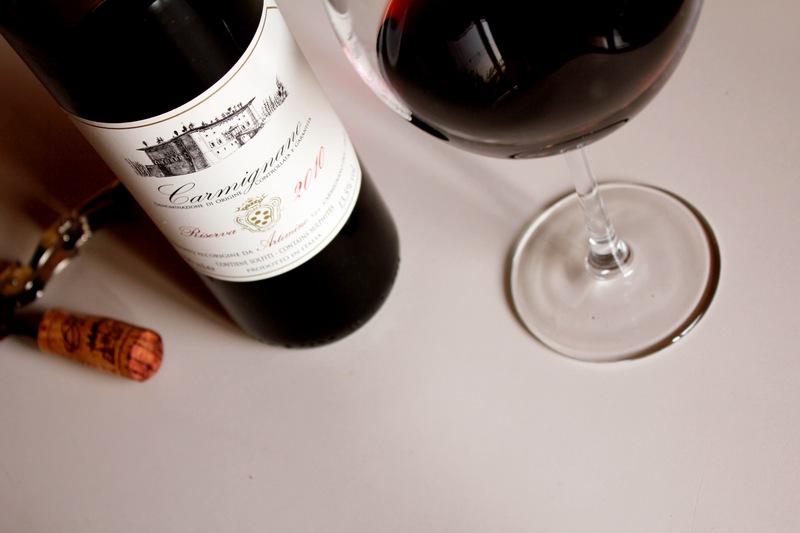 At the nose, aromas of ripe red fruit, cherries in brandy and hints of dried fruit, almond and hazelnut. The taste is fruity and velvety. You will easily find it, otherwise, I suggest other Porto wines with a good evolution. and now, let’s have a good snack!